I spoke with BBC Radio Merseyside on Wednesday morning about the latest attempts by the international community for a “cessation of hostilities” in Syria’s five-year conflict. You will not get any cessation of hostilities until you get a Russian guarantee, as well as an Assad regime guarantee, that it will not carry out bombing across Syria. You will not get a cessation of hostilities until you get a guarantee by the Assad regime and its allies, including the Russians, that they will allow aid to go into besieged areas, most of which are opposition-held. 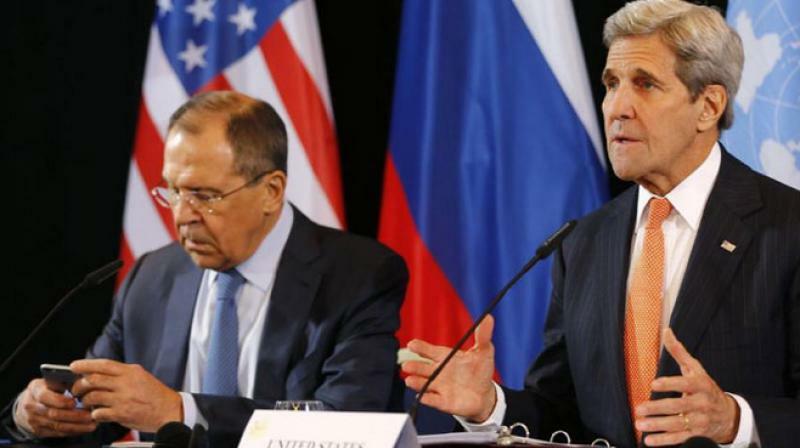 The Assad regime has said point-blank that it will not agree to either of those conditions. So why go through the process if there is little hope? US Secretary of State John Kerry has a goal that he wants the start of some sort of political transition by the end of March. To get that, he is almost behold to the Russians in this process. However, the goal of the Russians is not to get a ceasefire that is balanced for all sides. They are trying to buy time for President Assad — and so are the Iranians. The big question is why the rebels, who are under facing severe pressure in northwest Syria, and the opposition are going through the talks. I think they have to show some kind of commitment to this to maintain some measure of international support, to at least get some hope that they will not be cut off.